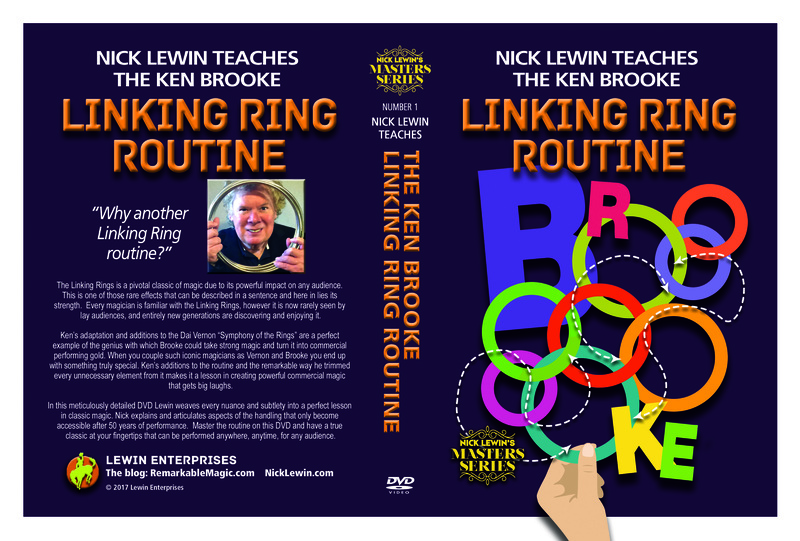 Nick Lewin Teaches The Ken Brooke Linking Ring Routine. 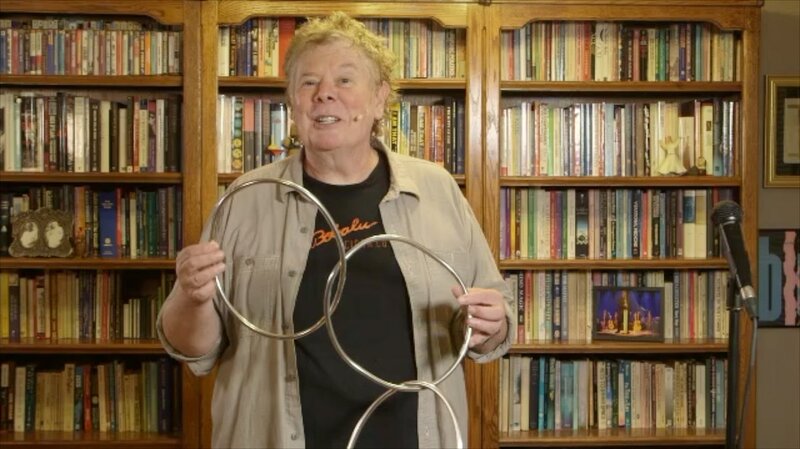 The Linking Rings has, along with the Cups & Balls, long been considered the two oldest and most important classical effects in the magic world. Indeed for many magicians a fellow performers handling of the Linking Rings is the purest way to judge his prowess as a magician. It is certainly true that both of these effects contain a powerful method to display not just the physical skills but also the performance abilities of a performer. 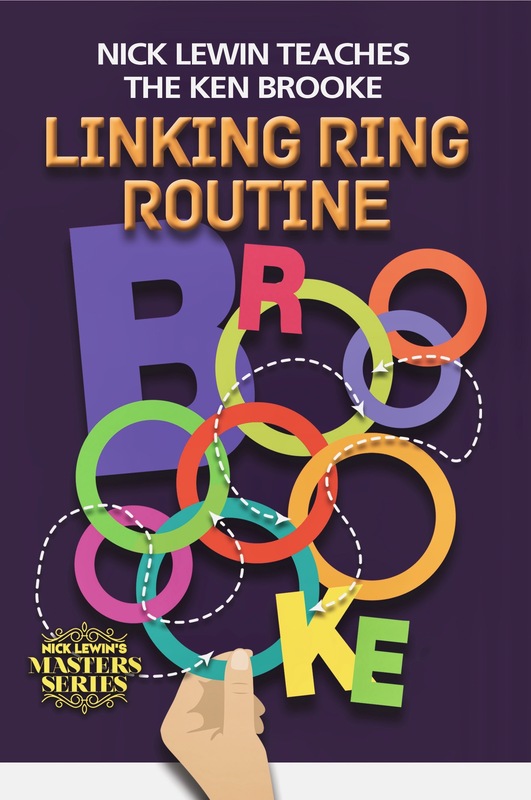 Manual dexterity, misdirection, and an understanding of many rather complex psychological factors are all entwined in a great Linking Ring Routine. Making the effect vibrant and commercial to a contemporary audience is an entirely different challenge. I truly believe every magician worth his salt should be able to perform a strong Ring Routine if you hand him a set of Linking Rings. 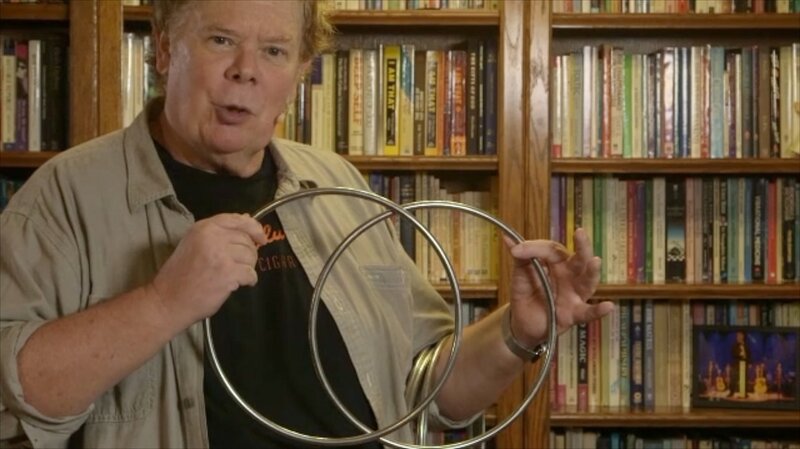 The Ken Brooke handling of the Linking Rings is based solidly on Dai Vernon’s Symphony of the Rings. The thing that makes this handling so very special is the brilliant additions and variations Ken made to Vernon’s classic routine. Brooke took the finest technical version of the Rings and deconstructed it into a polished and hard-hitting piece of commercial magic that expertly improved a routine that many already considered perfect. Just to study the changes Ken made to Vernon’s routine is a powerful lesson in magical thinking and is a lesson is molding a lay persons reaction to classical magic. This is a routine that can be perfectly adapted to any performing style and transformed into an ideal vehicle for any kind of act. Maybe the heart of the longevity and perennial appeal of this trick is the simplicity of basic effect; you link and unlink solid rings. How many complex magic routines can be summed up in just six words? Like Sawing a Lady in Half or Floating a Lady in the Air, here is an effect that can be performed and appreciated by any spectator aged five to 95 years old. 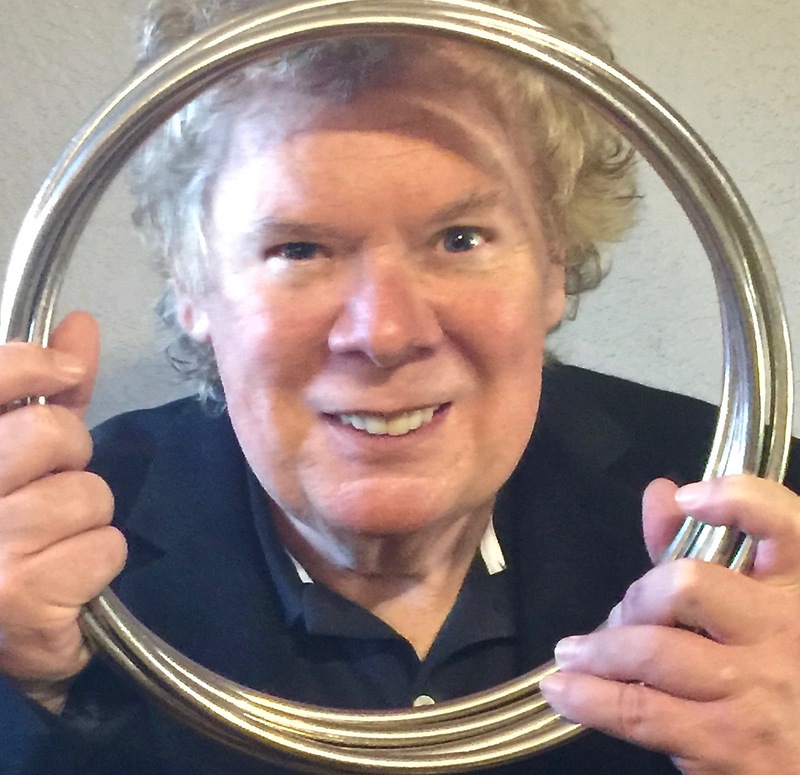 “When I first met Ken Brooke he asked me to show him my best trick, I performed my version of the Linking Rings. Then he showed me his handling of this iconic effect—I was dumbfounded and overwhelmed by the routine Brooke performed. I started to take half hour lessons from Ken until I had fully learned his handling. It has been a powerful addition to my repertoire now for fifty years. There are very few tricks that can be performed anytime, anywhere for any audience and when the wise performer finds one he delights in mastering it.